Piedmont Office Realty Trust Secures Record 1.5 Million SF of National Leasing in Third Quarter | Piedmont Office Realty Trust, Inc.
ATLANTA - October 21, 2013 - Piedmont Office Realty Trust (NYSE: PDM) announced today that it secured just over 1.5 million square feet of total leasing transactions in the third quarter of 2013. This total represents Piedmont's largest leasing volume achieved for a single quarter in its history. Philadelphia, PA - Independence Blue Cross completed a full-building, 800,695 square foot, 10-year lease extension through 2033, under a blend-and-extend structure that included an immediate increase to rental rate, at Piedmont's 1901 Market Street in downtown Philadelphia, PA.
Epsilon Data Management, LLC signed a new 221,898 square foot, 12-year lease through 2026 at 6021 Connection Drive in Irving, TX. This lease is in addition to a previously completed a new 27,938 square foot, 5-year lease through 2018 at sister property, 6031 Connection Drive. The combined total of the two leases is 249,836 square feet. Neovia Logistics signed a new 45,583 square foot, 10-year lease through 2023 at Piedmont's Las Colinas Corporate Center II, located at 6363 North State Highway 161 in Irving, TX. Nokia, Inc. completed a new 27,300 square foot, 7+ year lease through 2021, also at Las Colinas Corporate Center II. Detroit, MI - Continental Automotive Systems, Inc. signed a 77,054 square foot, 8+ year lease extension through 2023 at 4685 Investment Drive in Troy, MI. Also in Detroit, The Travelers Indemnity Company completed a 28,077 square foot, 5+ year lease renewal through 2019 at 1441 West Long Lake Road in Troy, MI. Washington, DC - Qwest Communications Company, LLC signed a 62,941 square foot, 7-year lease renewal through 2021 at 4250 North Fairfax Drive in Arlington, VA.
Los Angeles, CA -Union Bank completed a new 51,706 square foot, 10+ year lease through 2024 at 800 North Brand Boulevard in Glendale, CA. "We are extremely pleased with the volume of leasing we accomplished across our portfolio in the past 90 days, which represents our strongest quarter in total leasing activity," said C.A. "Bo" Reddic, IV, Executive Vice-President of Real Estate Operations for Piedmont. 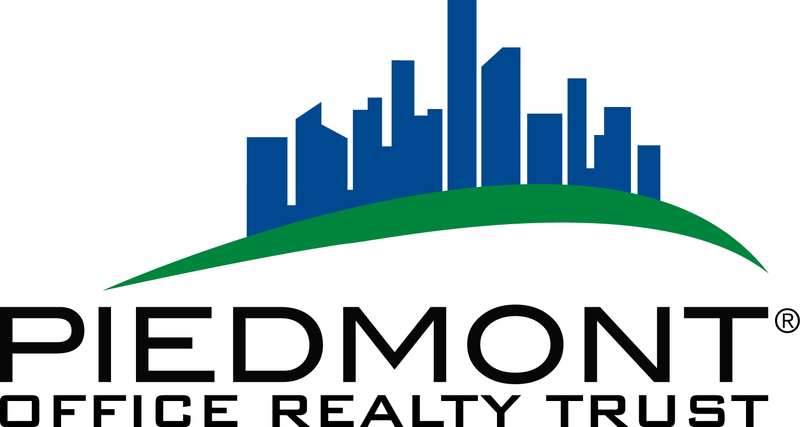 "In an environment where the competition for tenants remains strong, we are pleased to continue welcoming new tenants and extending our relationship with existing tenants in all of Piedmont's property markets," added Reddic. About Piedmont: Piedmont Office Realty Trust, Inc. (NYSE: PDM) is a fully-integrated and self-managed real estate investment trust (REIT) specializing in high-quality, Class A office properties located primarily in the ten largest U.S. office markets, including Chicago, Washington, D.C., New York, Boston, Los Angeles and Dallas. As of September 30, 2013, Piedmont's 77 wholly-owned office buildings were comprised of over 21 million rentable square feet. The Company is headquartered in Atlanta, GA, with local management offices in each of its major markets. Piedmont is investment-grade rated by Standard & Poor's and Moody's and has maintained a low-leverage strategy while acquiring and disposing of properties during its fifteen year operating history. For more information, see www.piedmontreit.com.